A Web database refers to a database application designed to be managed and accessed via the Internet. Website operators manage this collection of data and present logical results based on the data in the Web database application. Databases have always been a benefit for businesses, permitting the collection of apparently infinite amounts of data from infinite amounts of customers. Thinking like a hacker is the best way to make sure your database is secure. If you were a hacker, think of the kind of information you would look out for and how you would try to get that information. There are several types of databases and different techniques to hack them, but most hackers will either try to run a known database exploit or crack the database root password. SQL injection is a security exploit or loophole in which an attacker injects SQL code via a web form or manipulates the URL's based on SQL parameters. This attack exploits web applications that use client-supplied SQL queries. Code is inserted into user-input variables that are concatenated with SQL commands and executed. A less direct attack refers to the injection of malicious code into strings that are destined for storage in a table or as metadata. The malicious code gets executed when the stored strings are subsequently concatenated into a dynamic SQL command. Like operating systems, even the database servers do contain bugs resulting in grave vulnerabilities. Attackers can explore and exploit those either via the web layer, or by injecting a Trojan in the system meant for this purpose. Hackers are constantly looking for an unpatched database system for this purpose. A DoS attack or distributed denial-of-service attack (DDoS attack) refers to an attempt to make a computer resource unavailable to its intended users. These attacks usually consist of the concerted efforts of people or a person to prevent an Internet site or service from running efficiently or at all, indefinitely or temporarily. 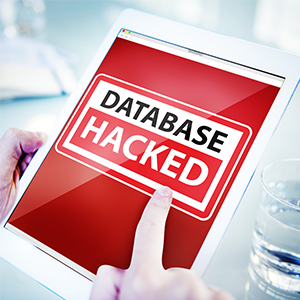 Database hacking is greatly favored by hackers because of its benefits. It is achieved by exploiting inherent vulnerabilities. Properly configuring database policies, firewalls, and following best practices for the roles and rules by the network administrators is essential for protecting corporate data from prying eyes. You will have to understand that the legacy method of protecting database servers at an operating system level is not sufficient in today's world and it thus requires design and deployment of intrusion detection and removal components in an extremely cautious manner. The above-mentioned hacking techniques can be prevented by installing a good web security tool like Comodo cWatch Web. One notable feature provided by this tool and one that will help protect a web database is the Comodo Cyber Security Operations Center (CSOC). The Comodo CSOC is staffed with certified security analysts responsible for monitoring, assessing and defending databases, websites, applications, servers, networks, desktops, data centers, and several other endpoints for customers. Using a modern facility and Comodo cWatch technology, the CSOC identifies and examines threats and then executes the necessary actions to maintain optimal security. The CSOC extends a customer's internal IT team's capacity to shield websites, systems, applications, and networks and manage complicated security incident investigations. Security Information and Event Management (SIEM): Advanced intelligence that can leverage current events and data from 85M+ endpoints and 100M+ domains. Secure Content Delivery Network (CDN): A global system of distributed servers to enhance the performance of websites and web applications.